The combined jackpot total for this week’s Mega Millions, Powerball, and in-state Megabucks Doubler lottery drawings has surpassed $1 billion, with the Mega Millions jackpot being just $2 million short of an all-time record, officials said. 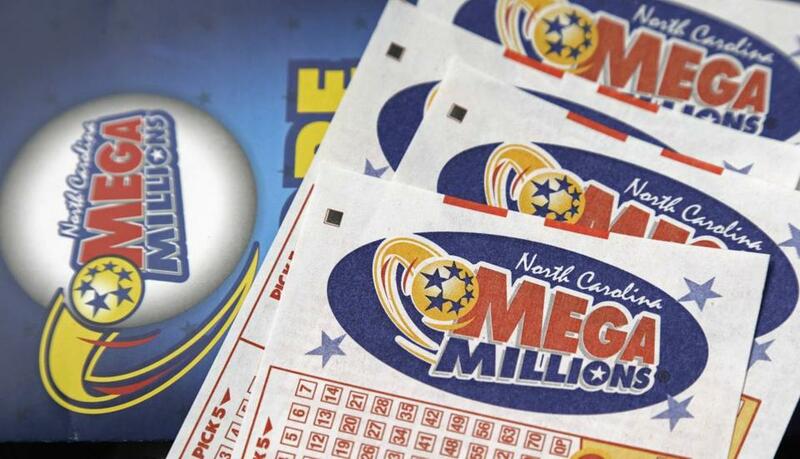 The Mega Millions jackpot for Tuesday’s drawing is an estimated $654 million. The Powerball jackpot for Wednesday’s drawing is an estimated $345 million and the Massachusetts State Lottery Megabucks Doubler jackpot for Wednesday’s drawing is $3.4 million, officials said. “With the Mega Millions jackpot at a near-record level and the Powerball jackpot steadily climbing, this is an exciting time for our customers and our retail partners and we encourage people to keep the experience of playing the lottery fun by playing responsibly,” Michael Sweeney, executive director of the Massachusetts State Lottery, said in a statement. The combined jackpots have only surpassed $1 billion three times before, with the highest-ever combined total reaching $1.523 billion on Jan. 12, 2016, according to Lisa McDonald, a researcher with the Massachusetts State Lottery. This week’s combined lottery jackpot total of $1.002 billion falls about $521 million short of the record. The largest single US Lottery jackpot ever was the Powerball’s $1.586 billion jackpot on Jan. 13, 2016, which was split among winning tickets sold in California, Florida, and Tennessee, officials said. The $654 million prize is the Mega Millions’s largest jackpot since March 30, 2012, when a $656 million jackpot was split among winning tickets in Illinois, Kansas, and Maryland. Tuesday night’s Mega Millions drawing will be the 24th drawing since the last time the jackpot was hit, when a group of 11 co-workers in California split the $543 million prize on July 24, officials said. Wednesday night’s Powerball drawing will be the 19th since the game’s jackpot was last hit on Aug. 11, when a ticket sold in New York won the buyer $245.6 million. This week’s jackpot is the Powerball’s largest since March 17, when it reached $456.7 million before the winning ticket was sold in Pennsylvania, officials said. Tickets for the Mega Millions drawing are $2 each and can be played in 44 states, Washington D.C., and the US Virgin Islands. The deadline to buy a qualifying ticket is 10:45 p.m. Tuesday. The drawings are every Tuesday and Friday at 11 p.m., officials said. Powerball tickets are also $2 each and can be played in the same places, as well as in Puerto Rico, officials said. Qualifying tickets can be purchased until 9:50 p.m. Wednesday and the drawings are every Wednesday and Saturday at 10:59 p.m.
Megabuck Doubler tickets, which can only be purchased in Massachusetts, are $1 each. The deadline to buy those is 10:45 p.m. Wednesday. officials said. The results of the drawings will be posted on masslottery.com, as well as on the Lottery’s Facebook, Twitter, and YouTube pages.